When I was a child I spent many summer afternoons picking fruit with my parents. 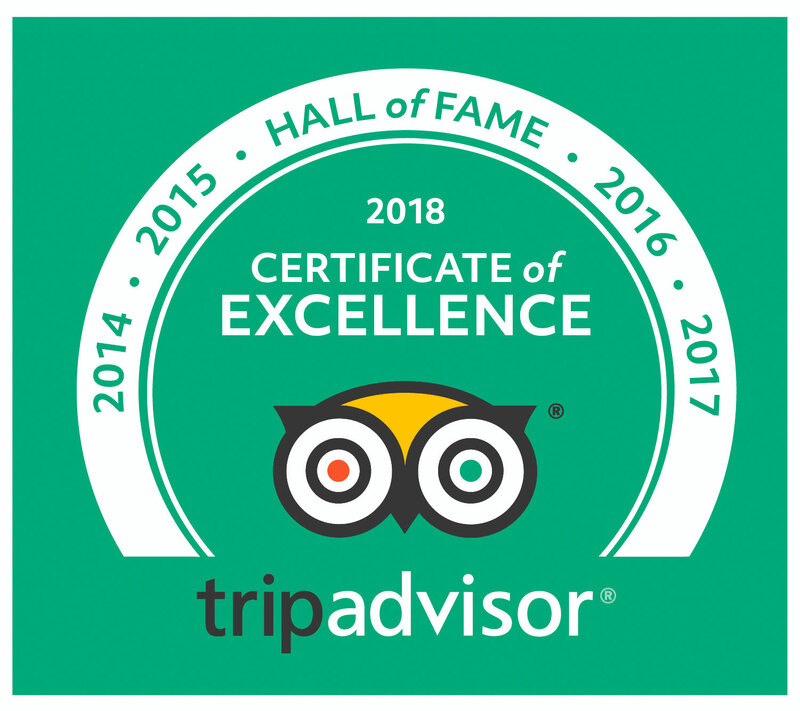 We were lucky to have some wonderful pick-your-own farms within reach and would come home with baskets full of strawberries and raspberries as well as loganberries, tayberries and redcurrants. The best strawberries I have ever had were eaten crouched in a field. 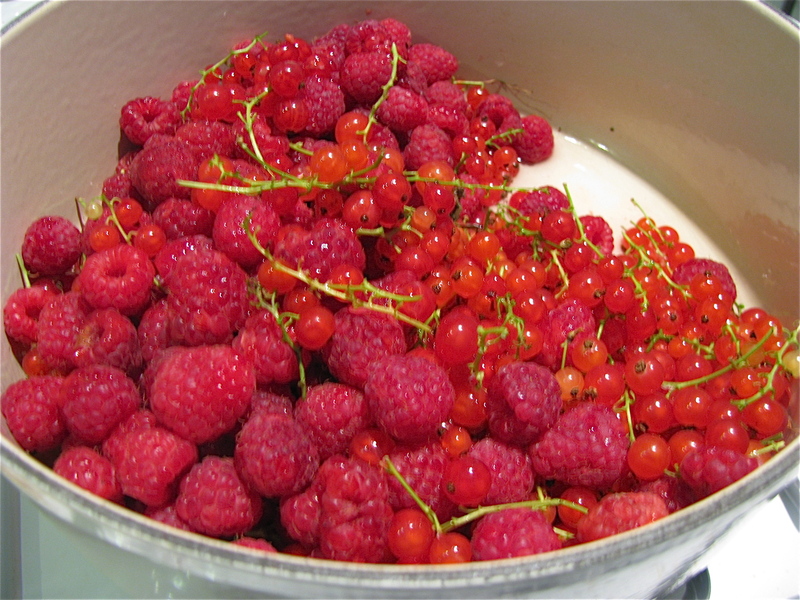 Much of the fruit we picked would be preserved as jam but we always made at least one batch of Rødgrød. 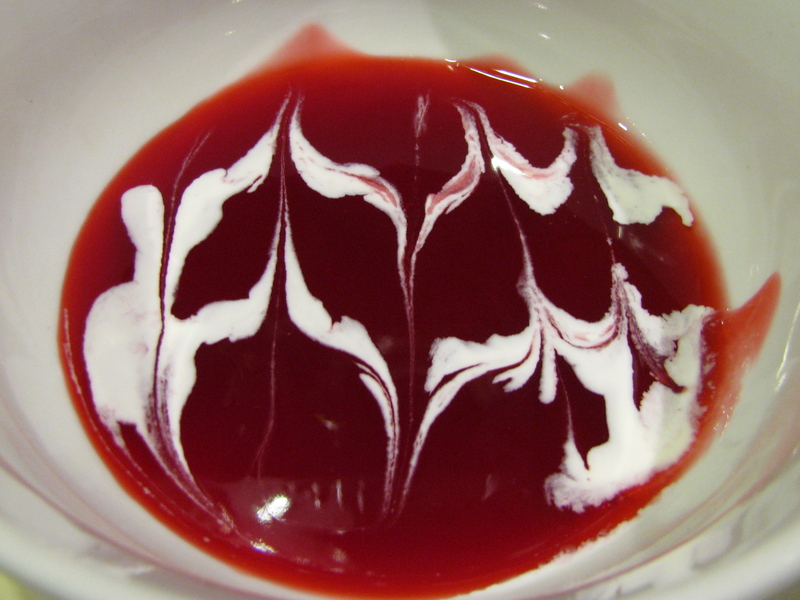 Rødgrød is an impossible to pronounce Danish dessert made with redcurrants and raspberries. It can be made as a thick pudding, but at our house it is the consistency of soup and is served chilled with lots of cream. 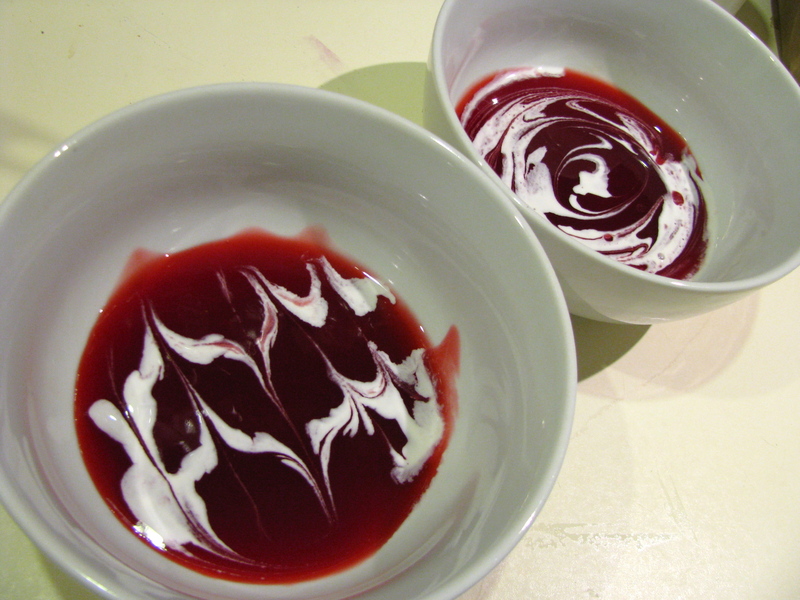 It is a refreshing summer dessert that tastes of jam and I still haven’t grown out of drawing patterns with my cream. When I saw that Comb’s Fresh Herbs had redcurrants at the North Market farmer’s market I knew that I wanted to make Rødgrød. 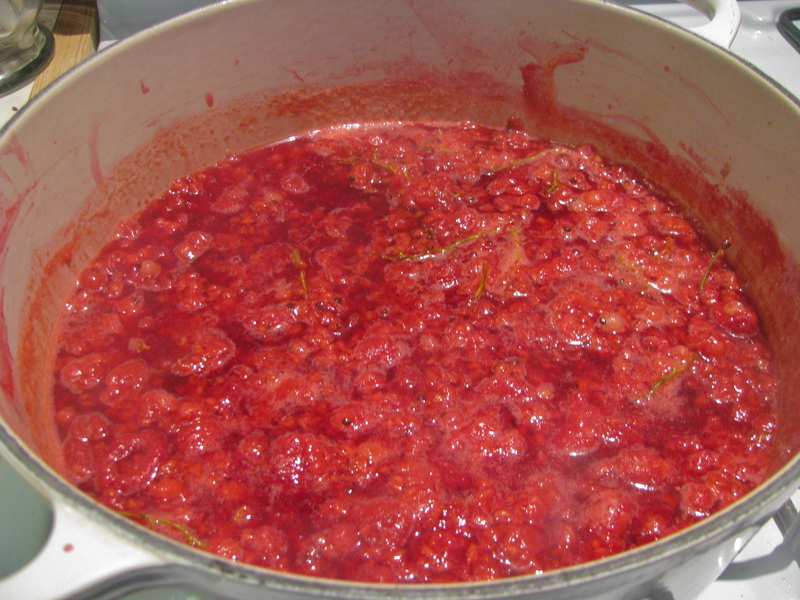 For 4-6 servings, put 1 lb of redcurrants and 1/2lb raspberries or 3/4lb of each into a pan with 6 tablespoons of water. 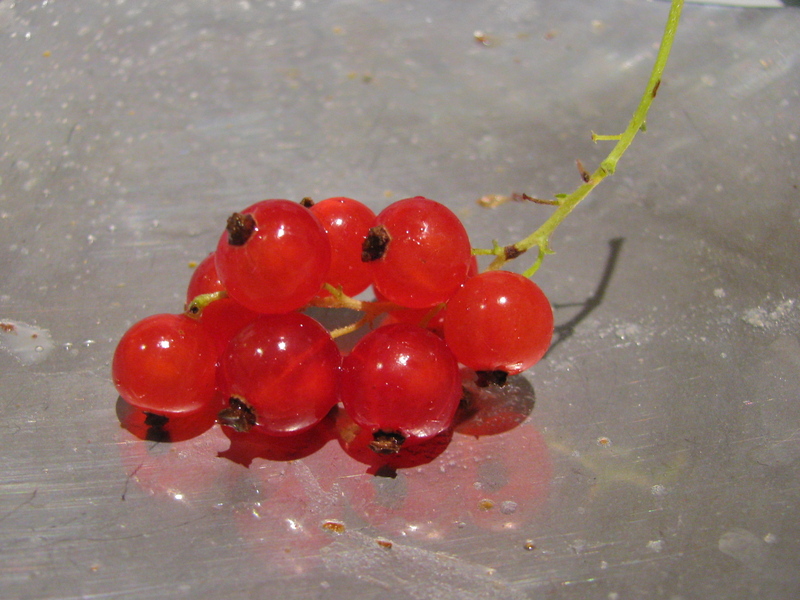 It is not necessary to remove the redcurrant stems. Cook over gentle heat until they are mushy and the juice is extracted and then press the mixture through a sieve or muslin. Measure the juice (you will need to know how many fluid ounces you have) and return it to the pan, except for two tablespoons. Add six to eight ounces of sugar to the juice in the pan and stir over a gentle heat until the sugar has dissolved. Then increase the heat. 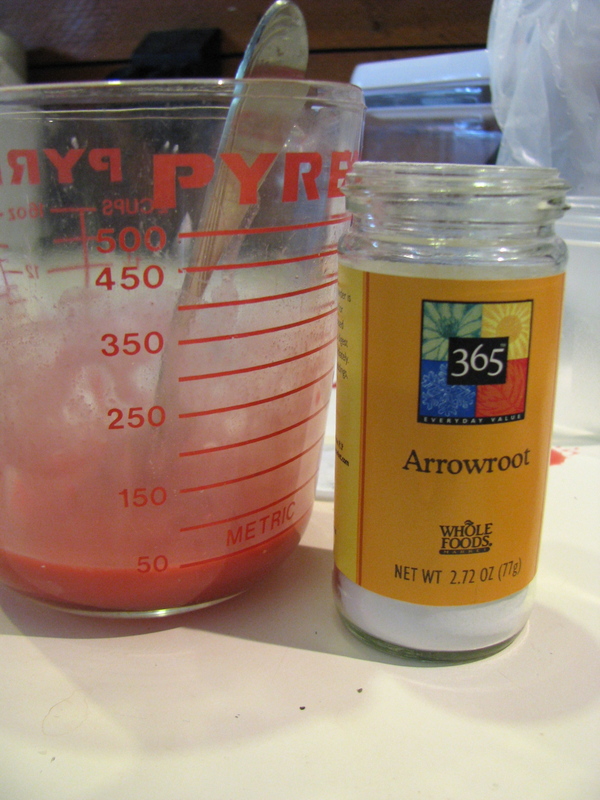 Blend arrowroot with the two tablespoons of reserved juice (using one teaspoon of arrowroot for every seven fluid ounces of juice). In Columbus you can find arrowroot at Whole Foods. Gradually stir in the arrowroot mixture, bring the juice to the boil and simmer for 2 minutes until it thickens. Pour into bowls or into serving dish and chill. Cover the surface with saran wrap or sprinkle a fine layer of sugar on top to prevent a skin forming as it cools. Serve with cream and feel free to play with your food.